From Tuscany's vineyards, truffle hunting in Bologna, Umbria, Piedmont to pizza making in Positano or dining al fresco in Rome and cannoli from the shadow of Mt. Etna, Sicily - at Tomaso's Italy's Dolce Vita goes on...it is a way of life! Tomaso's, located in the Camelback Corridor in Central Phoenix , embraces the lifestyle of Italian cuisine. Voted best Italian Restaurant in the valley since 1977, Tomaso’s celebrates simplicity & quality of authentic Italian food & wine with humor & hospitality. Tomaso's is proud to be celebrating over 35 years on the Camelback corridor at 32nd street. Serving fine Italian food, steaks, and wine, Tomaso's bar, dining room, and private room are ideal for any gathering or special event. Dress is business attire, upscale casual, evening attire. Reservations are recommended weekends and holidays. Adjacent to a spacious parking lot, valet in evenings. For over 35 years, Tomaso’s has been a destination restaurant in the Central Camelback Corridor in Phoenix, Arizona. As an Italian born and trained culinary expert, Chef Tomaso Maggiore’s mission has always been to address customs that are historically Italian but have taken on their own identity in America by recognizing the centuries old relationship that America has with Italy and the vibrant Italian-American culture here. His menu is passionately crafted and sparked by a commitment to Italian culinary excellence. 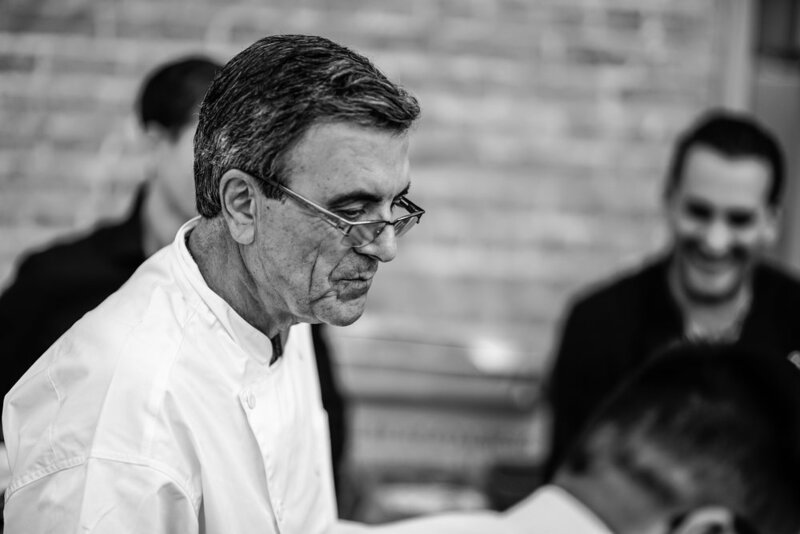 Tomaso, through his frequent travels to Italy, has created a fresh approach to authentic Italian cuisine. He uses the finest ingredients, innovative recipes and the latest techniquesto incorporate the true essence of Italy in every bite. "Since 1977, we have been guided by our core values of integrity and innovation of the art of Italian Cuisine, and we are focused on exceeding the expections of our friends and customers." Group Facilities, private dining rooms available for up to 175 people weddings, birthdays, business functions, holiday parties , rehearsal dinners…Any of Life’s special celebration.